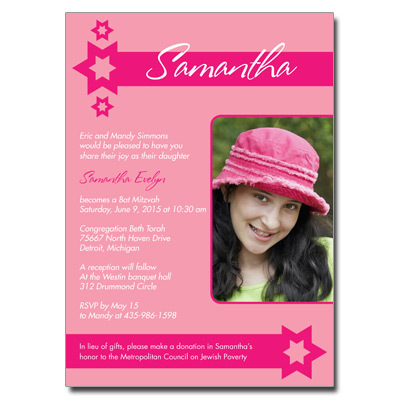 Colorful and sweet, these Hot Pink invitations are sure to be a hit at any Bat Mitzvah. 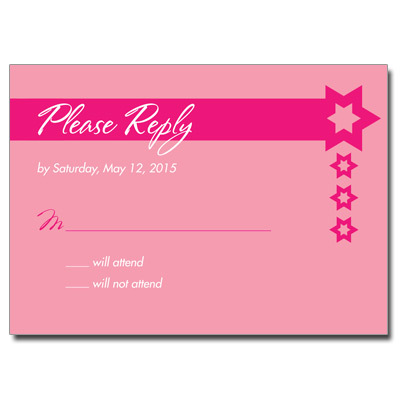 Compliment this charming invitation with an image of your own. 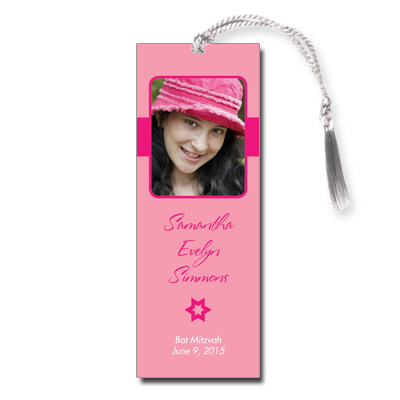 Bat Mitzvah Card measures 5x7.